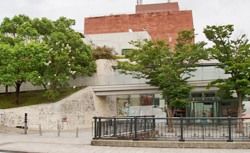 Visit The Atomic Bomb Museum, built in remembrance of the explosion that devastated Nagasaki in 1945. Lots of information on the atomic bomb but the information on Japan’s role in the war was hidden until the end. They acknowledge they started the war and war responsible for it but soft pedal it and try to sweep it under the rug. Educational and great tour guide. Educational and great tour guide. We enjoyed this half day tour and were able to walk back through Nagasaki before getting back on the ship. enjoyed the morning touring the Atomic Bomb Museum. A very powerful, well thought out museum. A very powerful, well thought out museum. Very sombering experience. The museum chronicles the dropping of the second nuclear bomb on Nagasaki in a very unbiased non judgemental way. We witnessed Japanese tourists weeping at the exhibits. There&apos;s just not much to see in Nagasaki, aside from Ground Zero (a park) and the Atomic Bomb Museum. Very informative, gives a different view of the use of Atom Bomb during WWII. Very informative, gives a different view of the use of Atom Bomb during WWII. Near the end, it is so sad that after seeing all the horrors that happened because of the bombing, nuclear bombs and testing still continued! It&apos;s on a bus/tram line that passes the berth. It&apos;s on a bus/tram line that passes the berth. What a waste of an organised tour. Went independently by local tram - very easy and cheap. Very moving and informative , found no recimmination from local people . We hired a private guide via the Nagasaki Tourist Office which was very reasonable and the arrangements before the tour, during and after the tour were first class. Excellent Museum. I wished we could&apos;ve spent more time here. Very intersting and graphic videos, pictures, and exhibition. Japanese School children were everywhere but were very polite and always accomodated our picture taking. Very tasteful, well laid out and extremely moving.